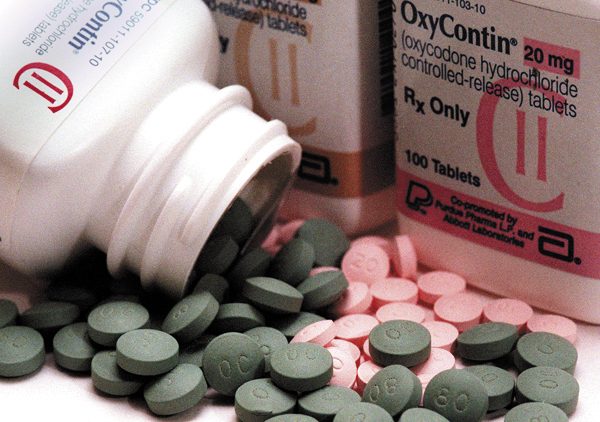 A major health insurance company -- Cigna -- announced this week that they it is removing OxyContin from its list of approved medications and replacing it with another extended release oxycodone product. “Our focus is on helping customers get the most value from their medications — this means obtaining effective pain relief while also guarding against opioid misuse," said Jon Maesner, Cigna's chief pharmacy officer. OxyContin is the only opioid-based prescription painkiller that Cigna is removing in 2018 as "a preferred option" from its formulary, a list of medications that its health plans will pay for. On the surface, this declaration might appear to be a great stride toward reducing prescription drug abuse. Cigna is replacing OxyContin with Collegium’s product, Xtampza ER, which is also an abuse deterrent extended release oxycodone product. My problem with this announcement is that OxyContin, along with the other abuse deterrent formulations (ADFs), have very little abuse issues. OxyContin certainly did up until its reformulation in August 2010, but that was over 7 years ago! Since then, there is much documentation from a variety of sources that show the diversion of OxyContin has fallen extensively. Xtampa ER and the other abuse deterrent formulations also have little to no abuse issues since they have been on the market. If Cigna wants to change drugs, that’s likely a financial decision and one they should make, but please don’t tout your move as striking a blow for reducing drug diversion. It will do nothing to reduce drug diversion, since the clear majority of diversion falls into the immediate release opioids, primarily oxycodone and hydrocodone. What is even more concerning to me is the vilifying of any drug that hundreds of thousands of legitimate pain patients take to live a semblance of a normal life, especially when that drug does not have a recent history of abuse and diversion. It also tends to make suspect any and all abuse deterrent products, which is deceptive at best. One thing the abuse deterrent formulations have done is to help narrow their focus to legitimate pain patients. Those seeking to get “high” moved to immediate release opioids or black market heroin/fentanyl combinations, not the ADF products. That’s why the FDA is now considering requiring companies that produce generic opioids to develop ADF properties for their drugs. No matter what Cigna declares, the bottom line is that ADF’s have been successful. They are not an end all to diversion and abuse, but they do help pain patients get easier access to pain medication. I am hoping that is everybody’s ultimate goal. John Burke recently retired after nearly 50 years in drug and law enforcement in southwestern Ohio. John is a former president of the National Association of Drug Diversion Investigators and current president of the International Health Facility Diversion Association.